Are you sensing that the holidays are upon us in Sun Lakes Arizona? I’ve noticed the lights going up and holiday decor starting to appear. And today we have a rare storm moving in bringing some rain. It’s actually starting to feel like Christmas. Don’t fret however – our 70 degrees days will be back in a few days. You’ve heard the song Santa Claus is coming to town? 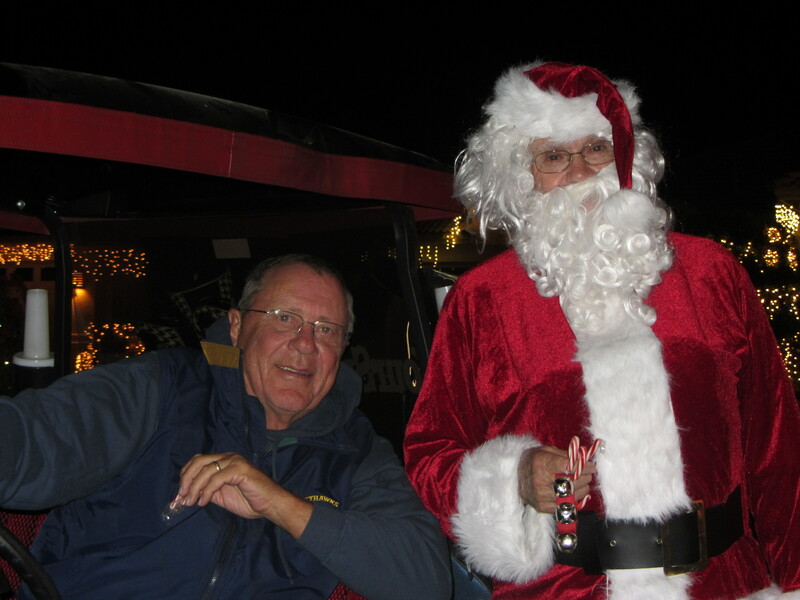 Well Santa Claus came to Sun Lakes Arizona last year and rumor has it he will be back! Sun Lakes Arizona is a Robson developed active adult community that borders Chandler Arizona and is comprised of five separate communities. With just under 10,000 homes this community is less than a half hour away from Sky Harbor and Mesa Gateway airports and minutes from the I-10, the 101 and the 202 making Sun Lakes the #1 choice in active adult communities! You don’t have to be here very long to see that this is an active community. This time of year people are putting up Christmas lights and holiday decor. Between golf, tennis and other activities there are parties, wine tastings and special clubhouse dinners you will not want to miss. December 8th – 3rd annual Christmas Sing-a-long in the Oakwood Ballroom 2 pm to 4 pm – no reservations needed – just show up. Very popular event with over 150 attending last year. December 14th – 40’s and 50’s club annual Holiday Dinner Dance – Oakwood Ballroom starting at 6 pm. Call Ellen Voelker at 480-883-3958 for more information. December 14th and 15th – 9th annual community food drive and Luminaria walk – Diamond Lake in Oakwood 6 pm to 8 pm. Bring a non-perishable food to be donated to the food bank for those in need. Live caroling by strolling musicians. This is a highly popular and favorite event in Sun Lakes. December 31 – New Years Eve Bash at Oakwood Country Club 5:30 pm for cocktails and dinner at 6:30 and then dance to the tunes of Heart and Soul Bank. $65.00 per person. Call 480-895-7275 for more information and reservations. And during the month of December – every Friday and Saturday you can enjoy holiday entertainment – live music by Freddy Vesely. At Oakwood Country Club from 5:30 pm to 8:30 pm and if you are planning to have dinner reservations are strongly recommended. 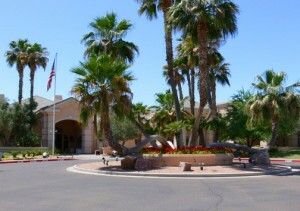 If you are interested in staying in touch with Sun Lakes Arizona we post regularly to our facebook page. Just “like” us at facebook.com/mysunlakeshomes and you’ll find all kinds of information about events, happenings and real estate market trends. For more information about events, happenings or real estate in Sun Lakes Arizona call me at 480-440-0849 or email me at becky@mysunlakeshomes.com The KOLB Team wishes everyone a safe and happy holiday season!